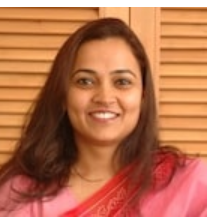 Neelu Singh, the Chief Operations Officer (COO) of Ezeego1.com, is a post-graduate in English from Lucknow University. Neelu has over 20 years of experience in the travel industry, having handled corporate travel, leisure and now online. Neelu joined SITA World Travel at Agra in 1993. She launched the FIT holiday division at Kuoni and created Christopher Columbus Holidays and Do It Yourself Holidays.